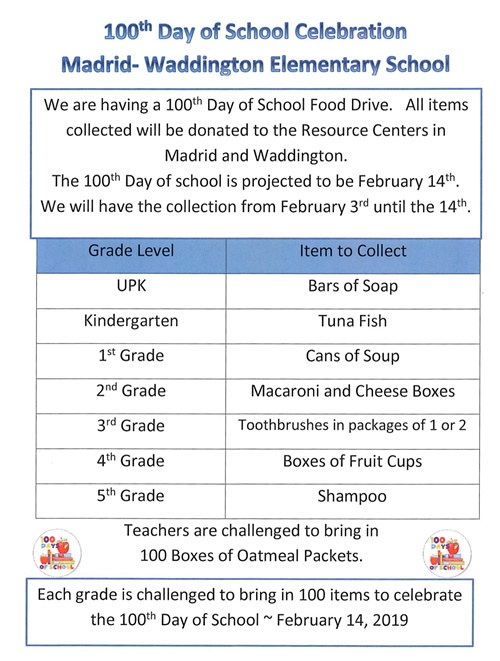 The elementary school is having a 100th Day of School donation drive. All items collected will be donated to the Resouce Centers in Madrid and Waddington. Collecting items through February 14th!